You have added Firework It Out Black and Gold Off Shoulder Dress into shopping cart. FINAL SALE. You'll light up any party you attend in this awesome black and gold metallic dress with a design that reminds us of fireworks in the night sky. We love that this party dress can be worn on or off the shoulder, creating two unique looks. 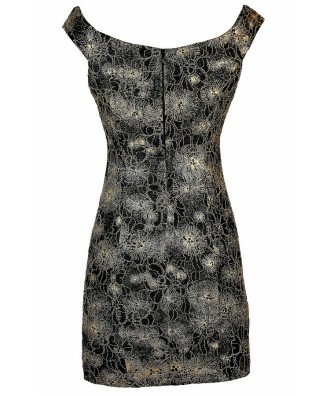 The Firework It Out Black and Gold Off Shoulder Dress is fully lined and made of a black mesh fabric with abstract metallic gold designs throughout. This dress features wide shoulder straps that can be worn on or off the shoulder and a plunging neckline with a V dip in the center. It has a classic pencil cut that makes it the perfect choice for any upcoming party or event. A hidden back zipper completes this look. The Firewrk It Out Black and Gold Off Shoulder Dress is a cute party dress that will stand out against all the basic black dresses. It would be a cute and festive option for New Years Eve. 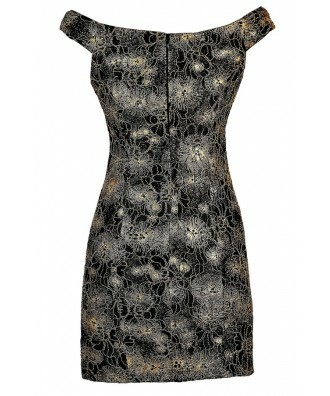 Try pairing this dress with black or gold pumps or strappy heels. Details: Fully lined. Hidden back zipper. 100% polyester. Hand wash cold water. Do not bleach. Do not tumble dry. Do not iron. Do not dry clean. Small measurements: Length from top of shoulder to hemline: 31". Bust: 30". You have added Firework It Out Black and Gold Off Shoulder Dress into Wishlist. You have added Firework It Out Black and Gold Off Shoulder Dress for Stock Notification. 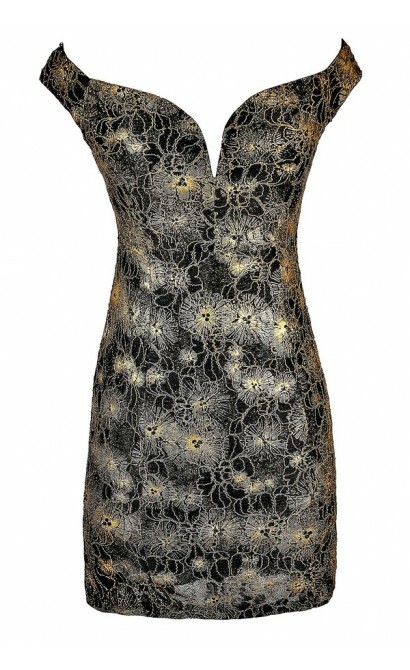 You have set Firework It Out Black and Gold Off Shoulder Dress as a loved product. 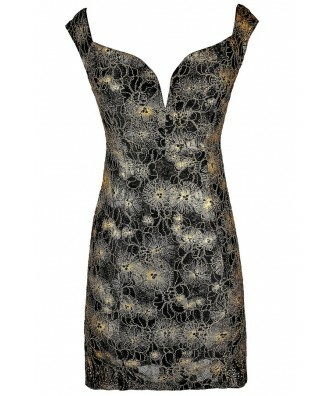 You have removed Firework It Out Black and Gold Off Shoulder Dress as a loved product.